All Clean Property Services provides;Window Cleaning, Gutter Cleaning, Siding Cleaning, Pressure Washing and more cleaning services to both residential and commercial customers. We take pride in high quality service and giving superior customer experience. 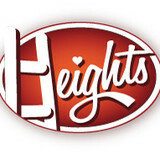 Heights Residential - Window Cleaning & More! Something feels . . . different! Guests to your home mighty not quite be able to put their finger on what has changed, but they will know one thing for sure: your whole house seems cleaner, brighter, almost new again!. Clean widows just makes your whole house feel cleaner. It's a good feeling. Heights Residential can help you transform your home. Whether it's WINDOW CLEANING, GUTTER CLEANING, or PRESSURE WASHING that you require, once you've hired Heights Residential, you'll swear you'll never climb a ladder again. Friendly, responsive, helpful office staff can help you get a FREE quote and schedule a time for your appointment that works for you. Experience "service a step above". Give us a call. If you are not 100% thrilled with the results, we will return to make it right. We promise. 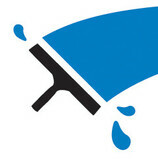 Don’t let our name fool you; at Squeegee Boy we’re serious about cleaning. Whether you’re asking us to professionally clean your windows or hiring us to do some top-notch pressure washing, our goal is to exceed your expectations in everything we do. Our clients in Calgary and Edmonton love our picture-perfect cleaning services. We’d love a chance to clean your space. 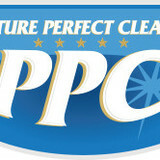 Picture Perfect Cleaning Inc. was incorporated in June, 2010. Since then, owners Jared Sarbit and Aaron Graham have grown their business at a steady pace, while ensuring they do not grow too fast or spread their resources too thin.